nHarmony opened its doors in 2002. Since then, our group of specialized experts has produced hundreds of quality websites and a variety of custom Internet software applications. Some of our clients are local Muncie, Indiana businesses, but we have not needed to meet face to face with every client. 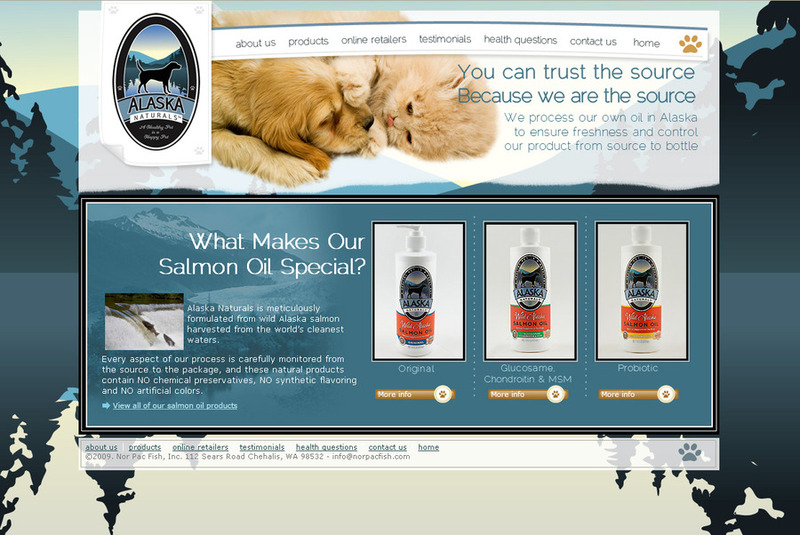 We have done work for organizations all across the U.S.
A screen shot of our recent web development project for Alaska Naturals pet products.